3.2 Links to Third Party Sites and Dealings with Advertisers. MedicalAlertComparison may provide links on the Service to third party websites or vendors who may invite you to participate in a promotional offer in return for receiving a benefit. Any charges or obligations you incur in your dealings with these third parties are your responsibility. MedicalAlertComparison makes no representation or warranty regarding any content, goods and/or services provided by any third party even if linked from our Service, and will not be liable for any claim relating to any third party content, goods and/or services. The linked sites are not under the control of MedicalAlertComparison and may collect data or solicit personal information from you. MedicalAlertComparison is not responsible for their content, business practices or privacy policies, or for the collection, use or disclosure of any information those sites may collect. Further, the inclusion of any link does not imply endorsement by MedicalAlertComparison of these linked sites. MedicalAlertComparison.com is not responsible for any agreements that may be reached with third parties or the actions taken by such third parties when contacting you. Further, MedicalAlertComparison.com MedicalAlertComparison.com is not responsible for and disclaims any and all liability related to any dealings between its visitors and the various medical alert providers that may be referenced on the Site. MedicalAlertComparison.com will not be involved in any disputes between any of its visitors and such medical alert company and/or their respective affiliates. The Site has links to websites hosted by other parties ("Third Party Sites"). These links are offered as a convenience and for informational purposes only, not as referrals or endorsements by MedicalAlertComparison.com of such Third Party Sites. Please be advised, however, that MedicalAlertComparison.com may be compensated by the respective institutions responsible for such Third Party Sites for linking users to such Third Party Sites, for linking users to such Third Party Sites, sponsored by such third party institutions, or for a variety of other reasons. Whether you're looking to stay safe at home or on-the-go, Medical Guardian has the product that's right for you! The in-home medical alert systems protect you in and around your home while the portable GPS-enabled products go wherever you go, allowing you to stay safe with no limitations. Virginia Residents: A medical alert system is only as good as its monitoring center. Medical Guardian sets the standard. Medical Guardian is dedicated to maintaining the highest standards for all facilities they use to ensure care for their clients. Medical Guardian response is lightning fast; their personnel is trained and knowledgeable; language barriers don't hamper communication. Medical Alert Comparison is a free service that compares medical alert systems, alarms, and companies in Virginia and nationwide. We then provide a rating and review for these medical alarm companies. 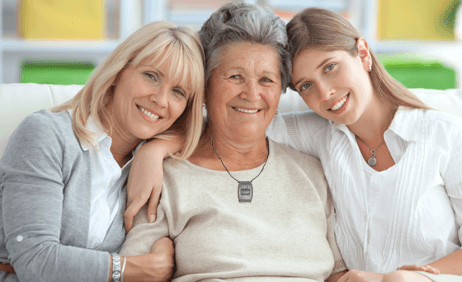 Information is provided to parents and senior citizens around the world who may be presented with quality featured medical alert offer to protect them against medical, fire, flood, and home invasion emergencies. Feel free to browse the site to find great content, reviews, and come back often for great daily deals and discounts on med alert systems. Save money, save time, and take one step forward towards protecting your family or yourself for years to come. Not all medical alarm systems are created equal. Some alert systems are higher quality, have more reliability, faster response times, longer ranges with GPS or mobile reach, additional medical or fall monitoring technology, and some medical alert companies can be held with a higher level of trust in the event of a personal medical emergency. Medical Alert Comparison is here to help you every step of the way and get you on the path to safety, security, and living an independent life. Shopping for a medical alert system can be confusing, so it's important to read Medical Alert Reviews. Every company seems to offer the same service; namely, pressing a button and getting help. There are definitely differences between providers, however. Here are some things for which to look out when you compare medical alert systems. The first one, obviously, is price. You will find that the prices are all pretty much in the same range, about $30 per month for 24 hours a day, seven days a week monitoring. But some companies have hidden costs, such as activation, shipping and equipment fees that other companies do not have. You&apos;ll have to dig a bit, but you will be able to see which companies charge these fees when you do you medical alert comparison. It is important to read the fine print on the contracts of each company. Some companies require you to sign up for a year of service; others have no contracts. Some companies offer refunds if you cancel, while others do not. It is vital that you understand the differences between the contracts of different medical alert companies before putting your signature on one of them. It seems that almost each company provides at least one option that other companies do not. When you compare medical alert systems , you will find that one medical alert company, for example, will offer Fall Detection, while no one else will. Another company might allow you to hook your system up through a cell phone alert system rather than a traditional landline. And with yet another system, you can talk and hear the monitor through your emergency pendant, rather than having to communicate through the base unit. Each company has something that sets it apart from the competition. Sometimes it is a rare feature like one of the items above, or sometimes it is something more subtle. Either way, a medical alert comparison will turn up those differences, and perhaps that one difference will sway you towards one company and away from the others. There are also differences in the equipment each company provides. They all offer a base unit and at least one emergency button. But some companies build their own equipment while others buy from an outside manufacturer. There are vast differences between medical alert pendants. Some feel like substantial, solid pieces while others feel cheap. Some look like pieces of jewelry while others look likes pieces of, well, you get the idea. When you compare medical alert systems, make sure you ask about the equipment. Many company websites include photos of the pendants so you can see what you will be wearing around your wrist or neck for the rest of your life. Conducting a medical alert comparison is the first step towards acquiring great Medical Alert System Deals . It is also perhaps the most important step. With so many providers of medical alert devices, it is crucial to know the differences between them to find the one that would offer the system that meets your individual requirements. Just like every person is different, not all medical alert systems are built alike. You want to choose the one that is right for you; the decision could literally mean the difference between life and death.